Who doesn’t love a good game of kickball? 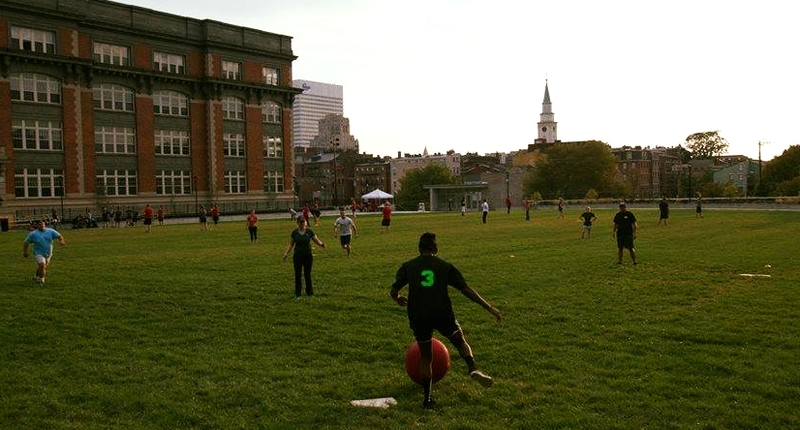 On Monday and Thursday nights, coed kickball teams will go head to head on Ziegler Park’s Great Lawn. Stop down to the park to watch the fun! Preregistration is required, click here for info. Presented by Cincinnati Sports Leagues. Planning a wedding or corporate event? We rent out our facilities for your events.